Sure it's tart, we admit that. There may even be times when you might wish that a strawberry-rhubarb pie was just plain strawberry. But don't overlook this nutritional powerhouse! 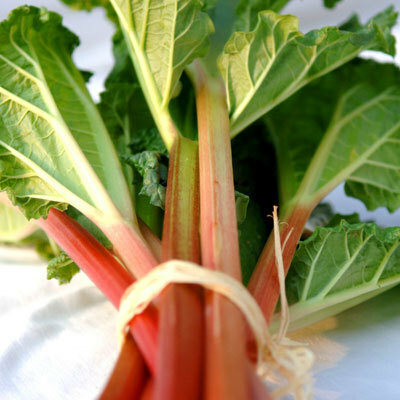 Here's the what, when, and why of rhubarb. Why: The tart veg boasts calcium, vitamin K, and anthocyanins (red pigments that boost immunity), says Anita Kobuszewski, RD, author of Food, Field to Fork. Plus, it's great in everything from pies to meat dishes. they're toxic). Stew with berries for a delicious sweet-tart spread.